Club Med Cherating Beach Day 2 - Zen Space and Adventures. 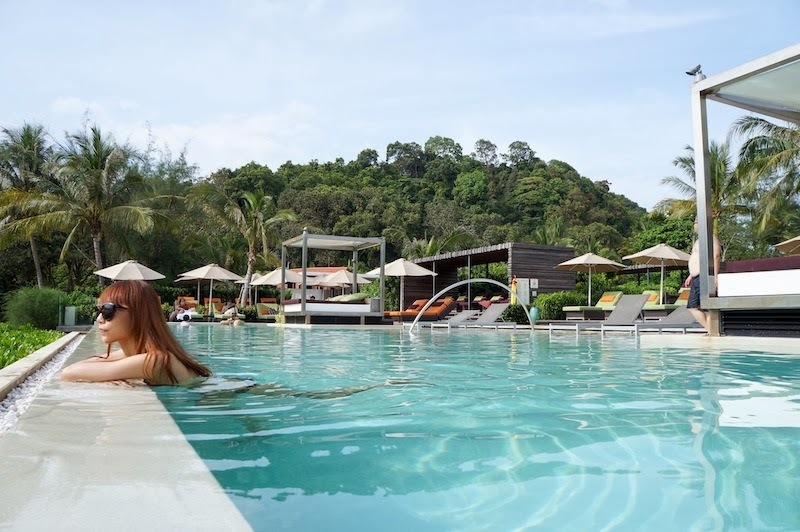 Club Med Cherating Beach is known as a natural paradise holiday destination, yet it isn't just about abundant wildlife and exciting activities. I find the new Zen Space with quiet pool that is designed to face the beachfront is ideal for relaxation. I can spend my quiet peaceful moment here, reading my books, sunbathing, paddling or doing whatever I feel comfortable. Besides Zen Space, Club Med Cherating has two other treasures for you to explore, Baby Club with splash park where parents can share some fun with their children. The children facilities here tackles all ages' needs which are perfect for family holiday. Also, Cherating Beach Resort offers the brand's first Noodle Bar concept accommodating Asian's food taste. I didn't have a chance to try out the Noodle Bar because I was stuffed all time having buffet breakfast and lunch. 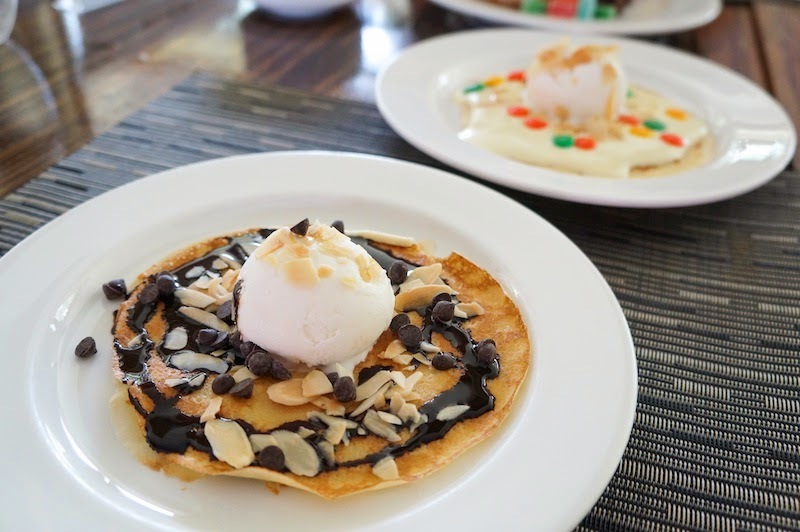 I made my own desserts while having buffet lunch at The Mutiara restaurant. I explored certain adventurous activities which I never thought I would do it. 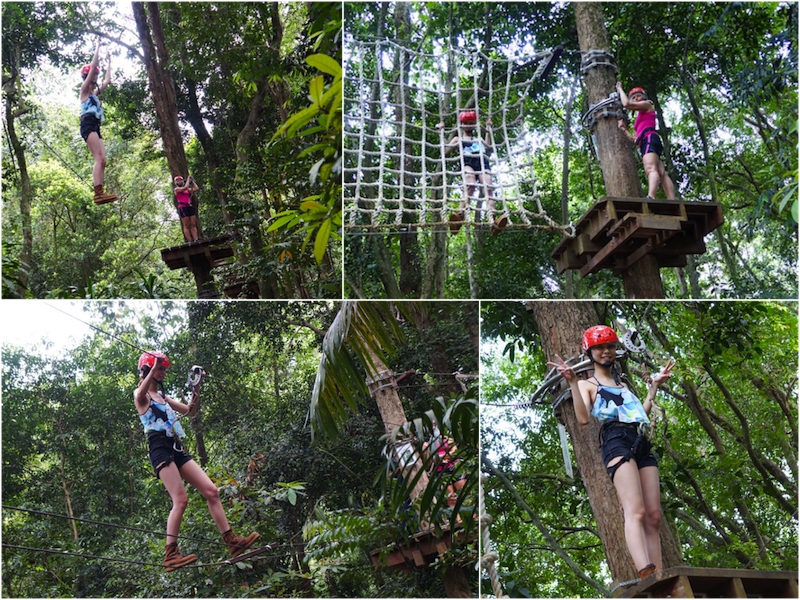 The most popular activity here is the Treetop Challenge as you can't find it in any other Club Med Resorts of any Asia countries. There are two levels available, I tried the intermediate one. I didn't bring along my sport shoes, luckily the GM was kind enough to borrow his. So I wore his oversized boots and successfully completed the challenge. Among all the obstacles, I love the flying fox part most. While fun is a key priority, safety is important too. Tips to those who want to join this activity to bring their sport shoes. I played Flying Trapeze too. I've to first climb up to the platform which is about 7-meters height or more and swing off. It was fun while swinging in the air but my arms were not strong enough to hold longer and I landed with face and knees hitting the net. It was so pain, my facial expression explained it all. EPIC troll. It also took me a while to get down from the netting. Though I hurt my knees, I would definitely give it another try when I've a chance. It was really really fun!!! My last night in Club Med was specially arranged for us. 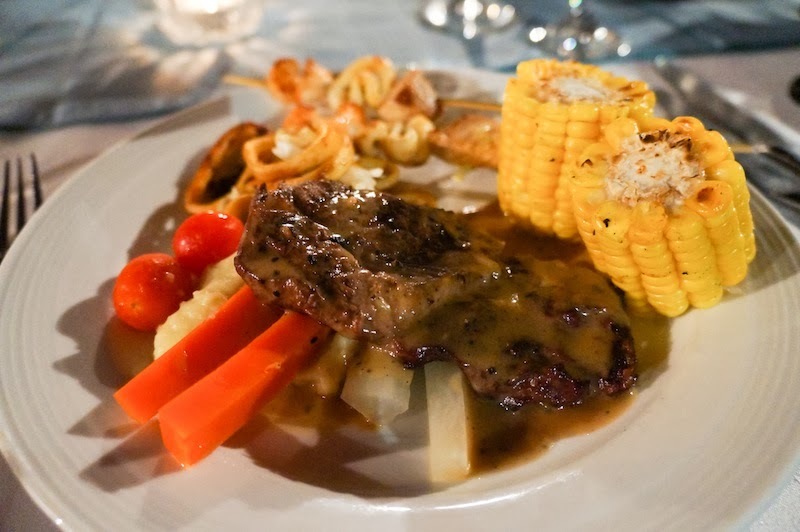 We had a nice dinner at The Rembulan restaurant backing onto beautiful gardens while facing South China sea view. 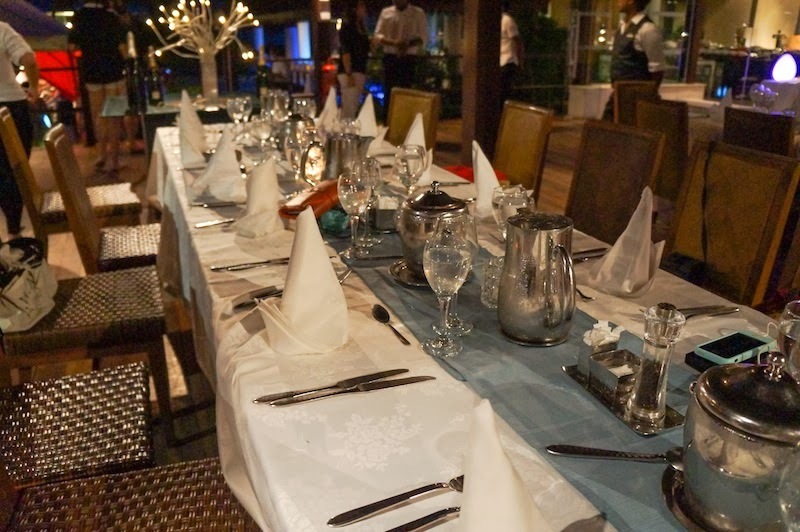 You may want to drop by the restaurant earlier to get a nice seating to enjoy the scenery while having a cozy dinner with your family and friends. After dinner, we spent our last evening watching Michael Jackson's show and chilling at the main bar. The greatest treasure I found in Club Med Cherating is wonderful memory. Thank you Club Med Malaysia for the invites, I was truly enjoyed during this trip with you guys. I would love to explore more Club Med resorts in future.